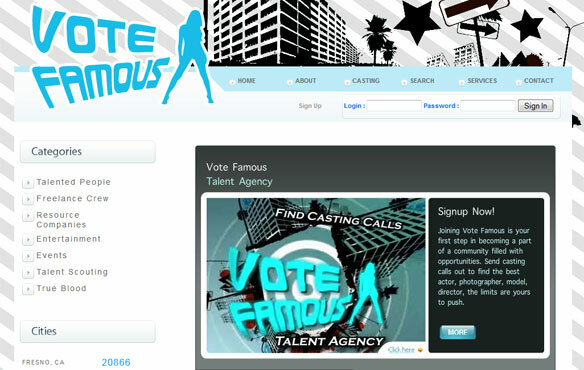 Vote Famous is a service that submits your headshots & resume to 100’s of castings per year to casting directors throughout the country. This site enables talent to create an online profile of themselves which casting directors can browse through to find the best fit for their project. Casting directors can also post a casting call and it then gets emailed out to everyone that fits their requirements. We also developed a voting system for people to rate talent on their website.